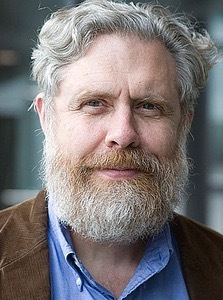 George Church is Professor of Genetics at Harvard Medical School and Director of PersonalGenomes.org, which provides the world’s only open-access information on human Genomic, Environmental & Trait data (GET). His 1984 Harvard PhD included the first methods for direct genome sequencing, molecular multiplexing & barcoding. These led to the first genome sequence (pathogen, Helicobacter pylori) in 1994. His innovations have contributed to nearly all „next generation” genome sequencing methods and companies. This plus chip-based DNA synthesis and stem cell engineering resulted in founding additional application-based companies spanning fields of medical diagnostics & synthetic biology / therapeutics. He has also pioneered new privacy, biosafety, environmental & biosecurity policies. He is director of NIH Center for Excellence in Genomic Science. His honors include election to NAS & NAE & Franklin Bower Laureate for Achievement in Science. He has coauthored 370 papers, 60 patents & one book, Regenesis. When his book, Regenesis: How Synthetic Biology Will Reinvent Nature and Ourselves, was published last April, its release was a standard event in the world of publishing, except for one copy that was published in a peculiar though perfectly suited method to Church’s research. He had each word and image of his book converted into binary code, translated the code into nucleotides, and sequenced them through artificial gene synthesis. In a single, pin-sized spot on a tiny piece of paper, 20 million copies of the book exist. His trailblazing is not limited to new avenues of book publishing. As Professor of Genetics at Harvard and Director of the Center for Computational Genetics, Church is the visionary behind the Human Genome Project. Founded in 1984, the Genome Project allows humans to share their genes, traits, and environmental data with everyone in the world. This led to the Harvard University Personal Genome Project, an effort he spearheaded in 2005 to sequence and publish complete genomes and medical records of 100,000 willing participants so that their data is open to everyone. Not surprisingly, he also was the project’s first volunteer. Church’s current research focuses on melding personal genomics and synthetic biology with biosystems-modeling (the modeling of all living organisms through biological sciences). Additionally, he’s a contributor for President Obama’s BRAIN Initiative, taking our knowledge of the human genome – much of which Church himself set in motion – and applying it toward the brain. The initiative spans five federal agencies, including the Food and Drug Administration and the National Institutes of Health, in an effort to understand the brain at an unprecedented level in hopes of advancing neuroscience while also finding applicable treatments for brain disorders. As if looking toward the future wasn’t enough, Church is also interested in the past – through a biogenetics lens, of course. He’s working toward reviving the extinct woolly mammoth by inserting three genes from mammoths into Asian elephant cells, thus creating a hybrid of the two species. A regular participant on television for programs like NOVA, Charlie Rose, and The Colbert Report, Church has also served in advisory roles for 12 journals, 22 biotech companies, and 5 granting agencies.